I thought it might be fun to find an illustration for the series, and I did. There’s something very wrong with these depictions though. 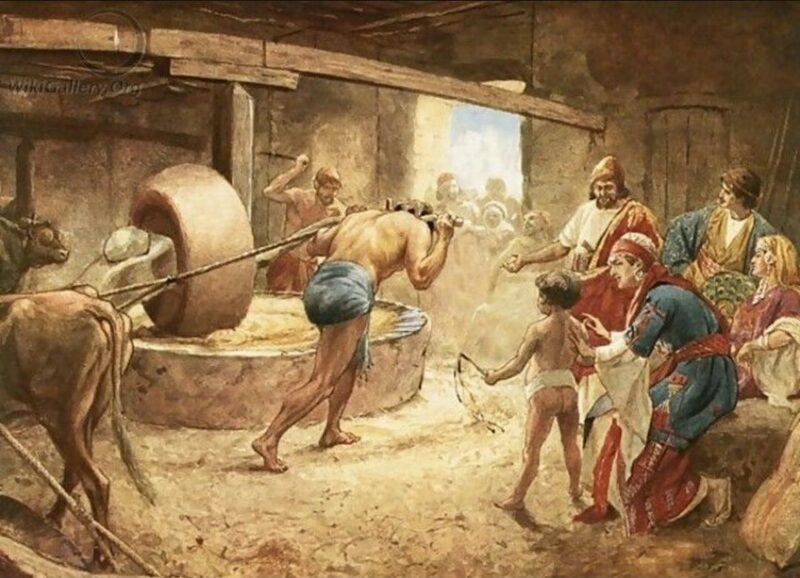 Samson’s mill would not be much good for grain (unless he were making something liked rolled oats). 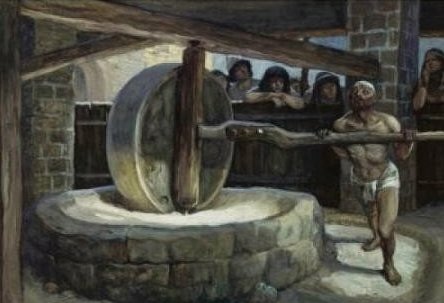 It is more like an olive or grape press. Looking at a whole bunch of translations, many do not specify what it was that Samson was made to grind, but those that do specify grain. The original Hebrew is טוֹחֵ֖ן (thanks, Luigi) which Google Translate renders as “mill”. I conclude that those painters, many others, and even Cecil B. De Mille, got it wrong. Some, however, did get it right. 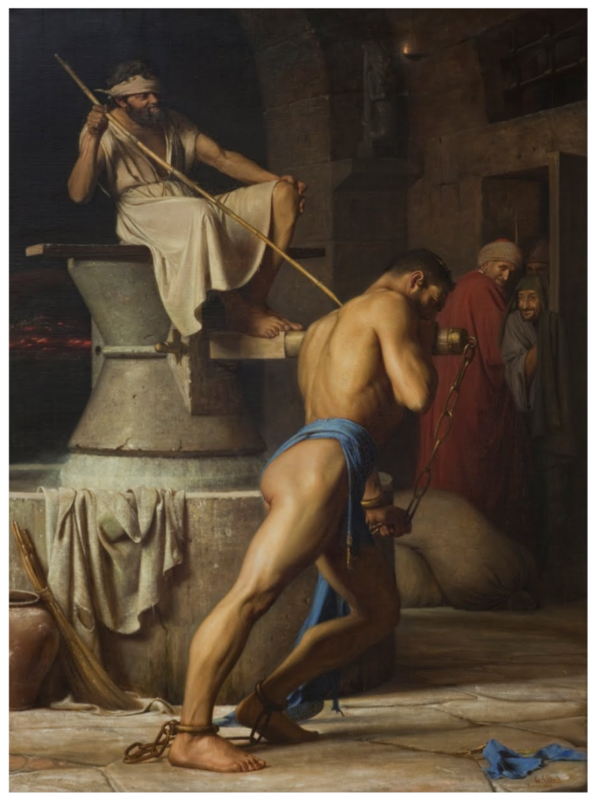 Samson and the Philistines by Carl Bloch, 1863. I’m particularly charmed by this little picture. 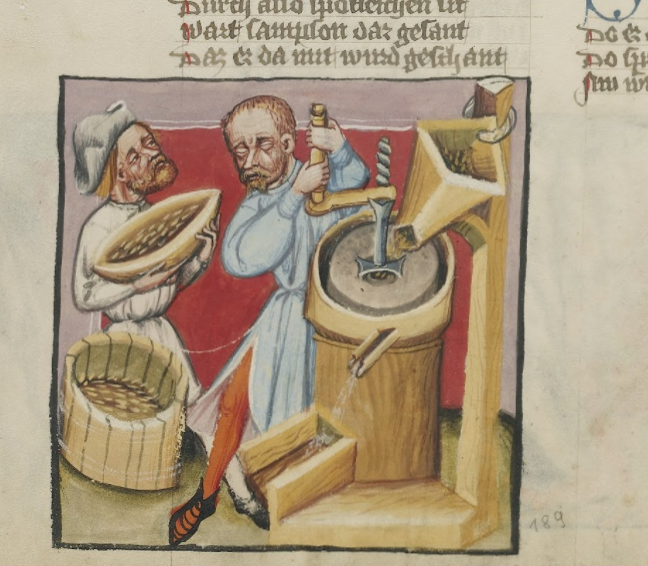 Samson Working in the Corn Mill, ~1400 – 1410, Regensburg, Bavaria, Germany. And yes, my nerdiness knows no bounds.